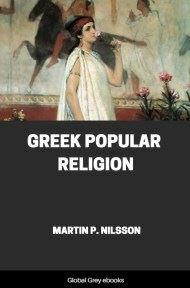 Chapters include: Idolatry And Imagination; Aspects Of Religion—Popular, Official, Poetical, Philosophical; The Conditions Of Religious Art In Greece; Anthropomorphism; Idealism; Individualism; and, Personification, Convention, And Symbolism. The relation of religion to art has varied greatly among different peoples and at different periods. At the one extreme is the uncompromising puritan spirit, which refuses to admit any devices of human skill into the direct relations between God and man, whether it be in the beauty of church or temple, in the ritual of their service, or in the images which they enshrine. Other religions, such as those of the Jews or of Islam, relegate art to a subordinate position; and while they accept its services to decorate the buildings and apparatus connected with divine worship, forbid any attempt to make a visible representation of the deity. Modern Christianity, while it does not, as a rule, repeat this prohibition, has varied greatly from time to time and from country to country as to the extent to which it allows such representations. Probably the better educated or more thoughtful individuals would in every case regard them merely as symbolic aids to induce the concentration and intensity of religious ideas and aspirations; but there is no doubt that among the common people they tend to become actually objects of worship in themselves. It is instructive to turn to a system in which idolatry, the worship of images, was an essential part of orthodox religious observance. It is easy and customary with a certain class of minds to dismiss all such examples of idolatry with a superficial generalisation such as "the heathen in his blindness bows down to stock and stone." 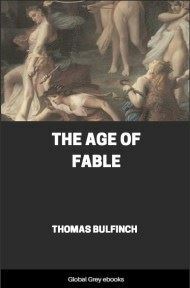 But it seems worth while to devote a short study to an attempt to understand how such a system worked in the case of a people like the ancient Greeks, who possessed to a degree that has never been surpassed both clearness of intellectual perception and a power to embody their ideals in artistic form. 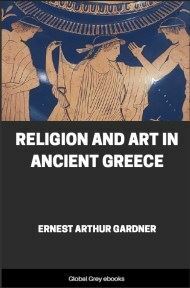 Whether it tended to exalt or to debase religion may be a doubtful question; but there can be no doubt that it gave an inspiration to art which contributed to the unrivalled attainments of the Greeks in many branches of artistic creation. We shall be mainly concerned here with the religion of Greece as it affected the art of sculpture; but before attempting a historical summary it is necessary for us to understand exactly what we mean by the worship of representations of the gods, and to consider the nature of the influence which such representation must have upon artistic activity. "Look through the sign to the thing signified,"
but there is no essential reason why the contemplation of a beautiful statue, embodying a worthy conception of the deity, should not be as conducive to a state of worship and communion as is an impressive ritual or ceremony, or any other aid to devotion. This view of the matter is expressed by some later Greek writers; in earlier times it was probably unconsciously present, though it is hardly to be found in contemporary literature. 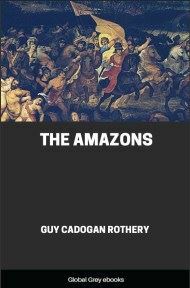 But it was only by slow stages that art came to do so direct a service to religious ideas; in more primitive times its relation was more subordinate. The worship or service of images, even in the highest ages of Greek civilisation, was much more associated with primitive and comparatively inartistic figures than with the masterpieces of sculpture; and even where these masterpieces were actually objects of worship it was often from the inheritance of a sanctity transferred to them from an earlier image rather than for their own artistic qualities. It does not, indeed, follow that the influence of the great sculptors upon the religious ideals of the people was a negligible quality; we have abundant evidence, both direct and indirect, that it was very great. But it was exercised chiefly by following and ennobling traditional notions rather than by daring innovation, and therefore can only be understood in relation to the general development both of religious conceptions and of artistic facility. Here we shall be mainly concerned with art as an expression of the religious ideals and aspirations of the people, and as an influence upon popular and educated opinions and conceptions of the gods. But we must not forget that it is also valuable to us as a record of myths and beliefs, and of ritual and customs associated with the worship of the gods. This is the case, above all, with reliefs and vase-paintings. 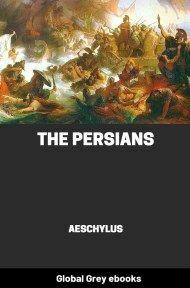 In them we often find representations which do not merely illustrate ancient literature, but supplement and modify the information we derive from classical writers. The point of view of the artist is often not the same as that of the poet or historian, and it is frequently nearer to that of the people, and therefore a help in any attempt to understand popular beliefs. 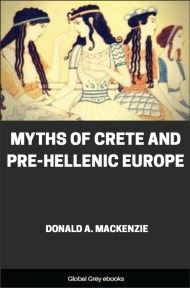 The representations of the gods which we find in such works do not often embody any lofty ideals or subtle characterisation; but they show us the traditional and easily recognisable figures in which the gods usually occurred to the imagination of the Greek people. The association of acts of worship with certain specially sacred objects or places lies at the basis of much religious art, though very often art has little or nothing to do with such objects in a primitive stage of religious development. Stocks and stones—the latter often reputed to have fallen from heaven, the former sometimes in the shape of a growing tree, sometimes of a mere unwrought log—were to be found as the centres of religious cult in many of the shrines of Greece. These sacred objects are sometimes called fetishes; and although it is perhaps wiser to avoid terms belonging properly to the religion of modern savages in speaking of ancient Greece, there seems to be an analogy between the beliefs and customs that are implied. Such sacred stocks or stones were not regarded merely as symbols of certain deities, but were looked upon as having certain occult or magic qualities inherent in them, and as being in themselves potent for good or evil.